In this day and age of thugs in high political office, it is imperative that we the people get ourselves together individually, unify collectively and stand strong universally to challenge the powers that be, to work for and serve us. Building community awareness and grassroot efforts are only a few of the ways in which our voices can and will be heard. Voting, the major way in which we direct or redirect our course of history, has been and hopefully will continue to be a deliberation to determine our destiny. When it comes to our communities, the leaders living amongst us are the ones we chiefly expect to speak and act on our behalf. On September 12, 2017, there will be a very important election and already the neighborhood is abuzz with interested candidates looking to represent Harlem. One such Harlemite is Ms. Pharein Griffith. As the current County Committee Member, Ms. Griffith represents Election District 14 and is the Treasurer of the 28th Police Precinct in Harlem, Chair of the Civic Engagement for the New York Branch of the NAACP and a member of The Parent Advisory Council of World and Money.org, which is a financial literacy youth program. Ms. Griffith has fought to bring awareness to the Harlem public and has lead an initiative to combat the vermin problem in the neighborhood. This issue has become even more prevalent due to the numerous construction sites of luxury buildings being erected. She opposed neighborhood metered parking. She also keeps the community abreast of major issues, using this knowledge to allow her constituents a fighting chance to amend, ratify or eliminate on going challenges in which they would not have normally been aware. Ms. Griffith has done all of this by email blasts but now is in the process of developing a website that will allow even more Harlem residents to have detailed information that pertains to their present and future condition. Pharein Griffith is now running for election as the Female Democratic District Leader in the 70th Assembly, and has shown in the past that she is fighting for the neighborhood in which she lives. 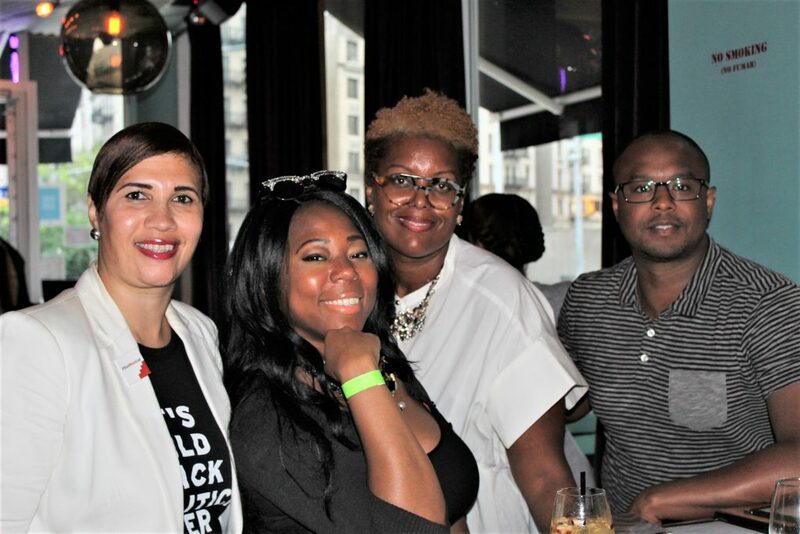 Hosted by Friends to Elect Pharein Griffith, a fund-raising event was held at Angel of Harlem restaurant. 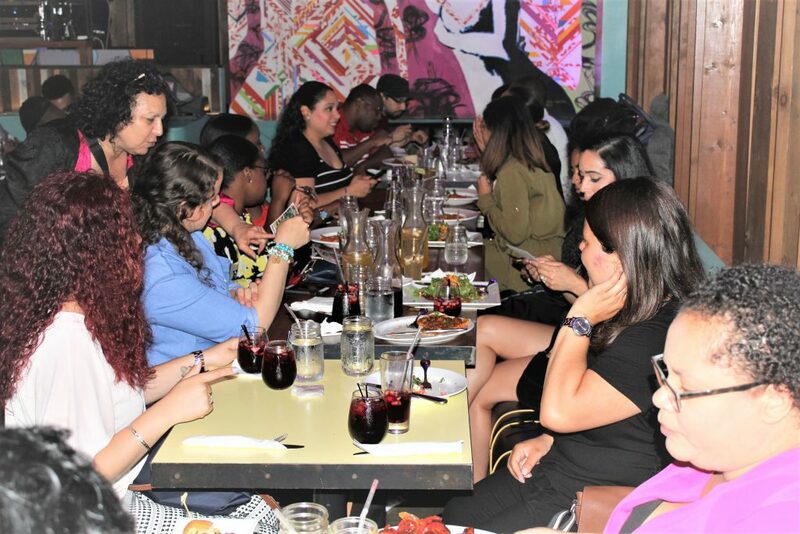 The evening event contained food, drink and a live DJ. Taking time out from her very busy schedule Ms. Griffith was able to answer of few questions. Q: So what is this fund raiser for? A: This event is to get the contributions and financial support needed from my people who believe in me, actually, and believe in what I am doing. It’s not easy to run a campaign, you need money to run a campaign and the District Leader position is a non-paid party position. It is however an important position but you don’t make a salary, so I have to come out of pocket to pay certain things. The more money I raise the more that will help with the campaigning and further my candidacy. I will be able to buy literature and make more phone calls and volunteer to knock on doors. Q: What are some additional issues that you have addressed in the community? A: I am also on the Transportation Committee as a public member and on Mayor De Blasio’s Division Zero Task Force to decrease pedestrian fatality. With that we have made changes on Morningside Avenue where we have put up the pedestrian islands to make it safer for people to cross from one side of Morningside Avenue to the park, which is on the opposite side. I have stood against the Department of Transportation putting up parking meters which have now appeared in the Harlem community, taking away vital parking for the residents. Q: But they didn’t let the public know that was going to happen until the last minute. So, no one was able to really fight or oppose it? A: That’s exactly what happened. Q: You already volunteer with the office that you hold now correct? A: Yes. I am elected by my Election District 14 to represent them. They went to the polling site and they voted for me in 2015 for the office of County Committee Member. Q: What is your main focus presently? A: My main focus is going into the barbershops and making sure our ex-felons in the state of New York know their rights of voting and that they can vote when they are on probation and once they finish their parole. Q: As the Female Democratic District Leader, what would be your mission? A: My mission is to educate the community on the political process, there are several positions and several issues that our people unfortunately are not aware. We have become disengaged with the political process altogether and rather not even come out and vote. Most of the time it is because we don’t know what the position entails or who is running for the position. We’re not tapping in to the political process here in Harlem or around the country for that matter. I am taking it upon myself to step forward, take the plunge and run to make sure my community is a part of the political process. Moving forward we will continue to vote in every single election because the outcome of your vote and certain elections means more than you think it means. Q: Are there other constituents in the neighborhood that you would recommend and why? A: There are several races from the Mayor to the Comptroller to City Council so for City Council of District 9, Marvin Holland is a great candidate. He is the Political Director for TWU Local 100 Union that represents the MTA. He is already use to legislating on the behalf of the people, which are his members so he would know how to legislate and get things done for his community, his constituents. He knows the process, so I think he would be the best candidate of the seven or eight that are running again. He came in second place at the February special election out of nine candidates that made the ballot from 13 original candidates. Moving forward for the future of Harlem I think he’s great. He is bringing a younger demographic to the table, just as I am. I am tapping into the younger, the millennials, if you will. I encourage them to come out and vote and I encourage them to participate in community events and I can see where their disengagement comes from, not being included. If people would open the door and let people in they would walk through the door and come in. Q: When is the date of this very important election? A: The primary election is Tuesday, September 12th, so right now we are in what is known as the petition phase. We have to get signatures to get on the ballot and that’s for all elections. So right now, the petitions are due on Monday and we have to get a certain number of signatures from registered Democrats for me to get onto the ballot. It’s up to my community to say hey we want you to represent us at the poll site, they sign my petition and that will enable me to get on the ballot. A: As of now it is being reorganized. It should be finalized in 3 days. On the website, everything that has to do with community, community meetings, civics, as well as my mission, biography, contributions and volunteering will be on the website. At present, I do email blasts. I make sure that people are aware of what’s going on. Some people don’t attend meetings, so if you attend just one community meeting and get on that community blast you will find out what is going on. I took it upon myself to start an email blast to make sure the community is abreast of everything. 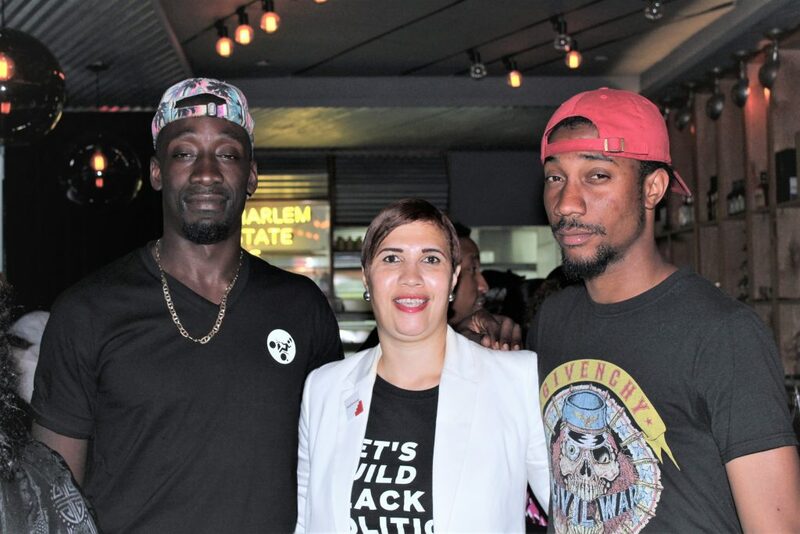 Ms. Pharein Griffith has already proven to be a necessity toward extending and connecting the bridge of critical information to Harlem residents. She is the link that will further unify our knowledge of the ways in which we can continue to create the environ in which we want to live. This is the grassroots foundation, the beginning process of what will be a decisive and very important vote for the future of our neighborhood, not the flippant, commercial attitude that belongs to and comes with the monikers of NOHA or SOHA but the community and people of Harlem, this village in which many old and new generations want to invest, live and flourish.